New Brunswick Sports Betting Online - Is Gambling Legal? 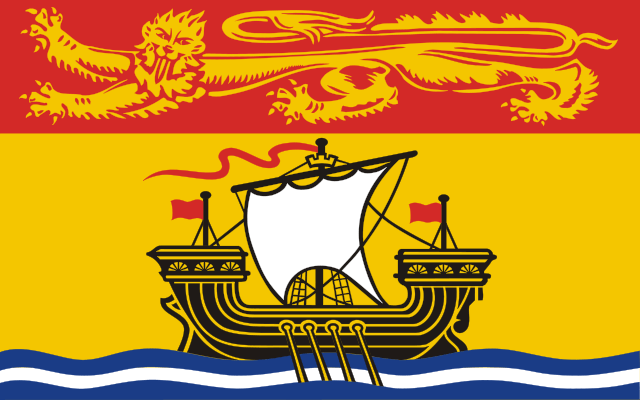 The province of New Brunswick is located in the eastern part of the nation, and the population is estimated to be less than one-million people. Around 33% of residents speak French, while English remains the dominant language. Saint John is the most heavily populated city, while Moncton holds the distinction of being the biggest metropolitan area. Sports betting is legal in the province, and residents also have the option of going online to get their fix. This article details the provincial-run betting system, as well as providing a rundown of the professional and university teams that gamblers should pay attention to. Before you proclaim yourself the next great sports bettor in New Brunswick history, it’s a good idea to sit down with an attorney and learn the ins and outs of the law as they apply to wagering on athletic events. Most lawyers see you the first time for a nominal fee, and that’s much cheaper than breaking some obscure gaming law and getting thrown in jail. Throughout the province of New Brunswick, legal sports betting is run by an organization known as the Atlantic Lottery. Their system is known as Pro-Line, and it requires players to bet on multiple games at a time. Customers must also get all their predictions correct in order to receive a payout, and they must be at least 19 years old in order to participate. These games can be accessed by local retailers, or customers can create an online account and enter their picks. • Pro-Line – Pick anywhere from two to eight games and try to correctly predict their outcomes. Different options are available, including point totals, point spreads, and moneylines. Wagers range from $2 to $25, and all predictions must be correct in order for a payout to be issued. The following sports are available: baseball, hockey, soccer, pro and college football, and pro and college basketball. • Pro-Line Fantasy – Players are able to parlay from two to five player/team prop bets. The smallest wager is $2, while the maximum is $25. • Pro-Line Futures – The player tries to select the future champion of a division, league, or tournament. Wagers start at $2 and go as high as $100. • Stadium-Bets – This odds-based game gives players a chance to predict the outcomes on anywhere from two to eight event parlays. Customers can select parlays on point spreads, point totals, and moneylines. These bets are only available online, and the size of the wagers range from $2 to $250. • Pro-Line Stadium Picks – If you’re an online customer, you can use this game to predict the outcome of events and rack up points for correct guesses. The more points you earn, the greater chance you’ll have of defeating the other participants and picking up prizes. While customers can go to their local convenience store and wager on two or more games, a lot of gamblers prefer to choose a single sporting event to bet on. This has led large numbers of individuals to seek out online bookmakers, even though Internet gambling is technically illegal. Some of these sites have been linked to organized crime, but that doesn’t stop customers from tracking down better odds and less restrictive gaming. Each year, an estimated $10 billion goes to offshore gaming sites. If you decide to join the ranks of the hardened criminals seeking virtual sportsbooks, the good news is that the law is primarily in place to punish those who offer the games in the first place. This means that you can gamble with confidence at any online book that will accept your business, although it’s a good idea to do some research on the site before opening an account. New Brunswick is sparse when it comes to sports teams, although the province does have a few athletic competitions to wager on. Luckily, the legal sportsbetting in the region gives gamblers access to the world stage, which dramatically increases their choices. • Mount Allison University – Their team is known as the Mounties. Their men’s rugby team has had notable success, going undefeated from 2007 through 2010. • University of New Brunswick – The Varsity Reds compete in swimming, volleyball, soccer, basketball, hockey, and track & field. • Universite de Moncton – This French-language university is represented by the Aigles Bleu. They have male and female teams for hockey, soccer, cross country, and track & field, as well as a women’s volleyball squad. • Kingswood University – The Blazers compete in men’s and women’s basketball, men’s and women’s softball, co-ed hockey, co-ed soccer, and co-ed volleyball. If you’re tired of the poor odds offered by the Pro-Line system, there’s always the option of betting with a friend. These wagers are untraceable if done face-to-face, and you can set the odds however you want to just wager straight up. Another option is to find an illegal bookie, and the best place to start looking for them is at the local tavern. Just make sure they have a reputation for paying their debts, otherwise you could be in for some unnecessary drama. New Brunswick is a major disappointment when it comes to local sports, but gamblers can still head online or down to the local convenience store and wager on athletic competitions from around the globe. The downside is that the odds aren’t especially good for these contests, and customers are forced to wager on parlays instead of single games. Fortunately, this is offset by the presence of online sportsbooks, which gives residents another strong—if not entirely legal—option.